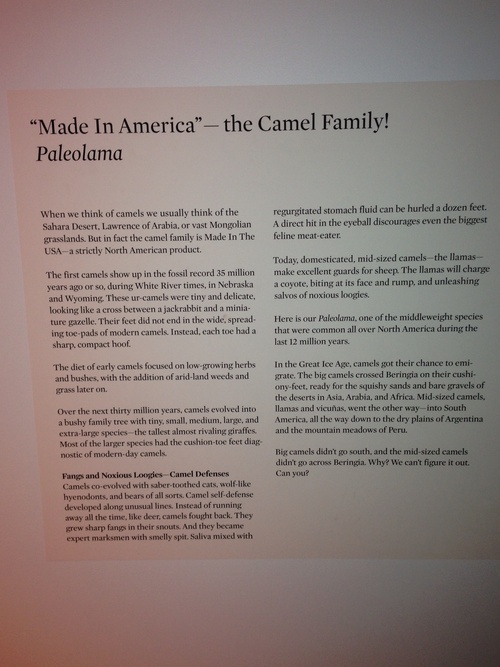 Alpacas are members of the camel family, along with llamas, vicunas, and guanacos. 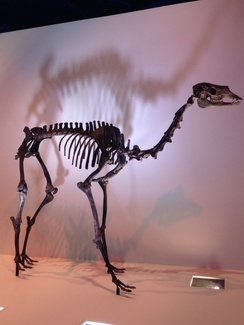 Adult alpacas stand approximately 3 feet tall at the shoulder and weigh 100 - 175 pounds. 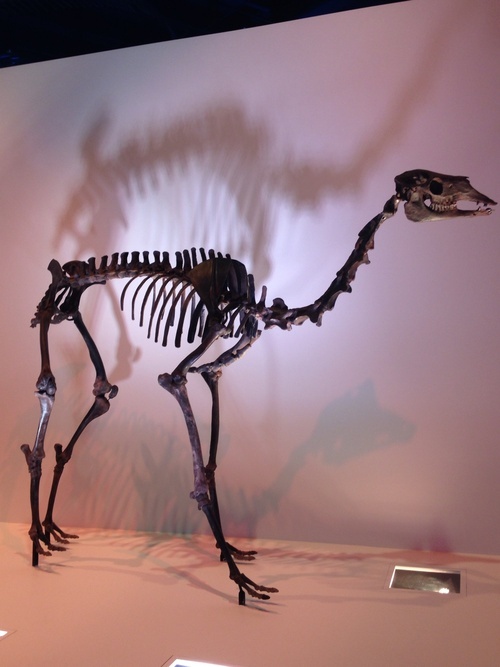 At some point in the evolution of the world, alpacas were native to North America. 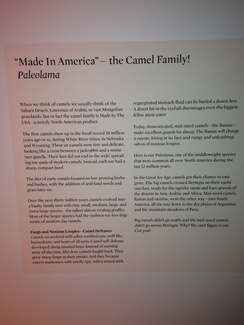 In fact, the camelid species itself is said to have originated in North America. Alpacas were domesticated from the vicuna by the Incas in the harsh climate of the Andes Mountains of South America over 5000 years ago and are among the most ancient of the world's domestic animals.They provided clothing, shelter, fuel and food. Alpacas were considered a cherished treasure by the ancient Inca civilization. 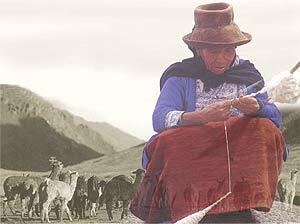 Finer grades of alpaca fiber were reserved for use by Inca nobility. Almost all alpacas are domesticated now. The majority of the 3 million alpacas found in the world today inhabit the high plains regions of Chile, Bolivia, and Peru. Alpacas have been imported since 1984 to the United States from the Altiplano region of Peru, Bolivia and Chile, creating the basis of a national herd. Most herds in North America are small, less than 20 animals. These hardy animals are very adaptive and at present can be found on small acreage farms from Alaska to Hawaii. Why are alpacas becoming so popular? Unlike most other types of livestock, alpacas can be profitable without going to the slaughterhouse. Alpacas are considered to be the aristocrat of all farm animals, providing a fiber that is sought by the textile industry world wide for its warmth and softness. Alpacas are shorn once a year yielding 5-10 pounds of exquisite fleece. The fiber, virtually grease-free, can be handspun directly off of the animal. There are two breeds of alpacas: huacaya and suri. Their fiber type is the distinguishing factor. The huacaya is much more common, having a very crimpy fleece that gives them a fluffy appearance. The rare suri has a silky hairlike fiber which drapes down in tight spirals and locks. About 90% of the world's alpaca population is Huacaya and 10% is Suri. What kind of personalities do alpacas have? Alpacas are very social and intelligent creatures. Alpacas tend to be docile and easy-going creatures that get along very well with children and as a result can make good pets. Young alpacas are readily halter trained, and are easily herded without a dog. They do spit, but normally just at each other. A female will spit at a male, refusing his advances if she is pregnant. What is an alpaca's life cycle? 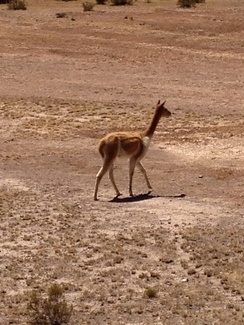 The baby alpaca is known as a cria and the weaned crias are known as weanlings or tuis. 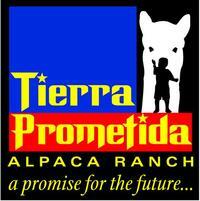 Alpacas produce just one cria per year. Adult males are called machos and adult females are called hembras in Spanish. An alpaca's average lifespan is 15-20 years. Females are induced ovulaters and therefore are ready to breed at most any time of the year. She will ovulate in response to mating and will normally spit off an advancing male if she is pregnant. Gestation is approximately 11 1/2 months (approx. 335 days). They give birth to a single cria, weighing between 12 and 20 pounds. Females are bred again 18 to 20 days after giving birth. You can usually begin to breed females at 12 to 13 months of age, and their pregnancy can be confirmed with an ultrasound test. Alpacas normally give birth during daylight hours and do not usually require human intervention. It is rare for an alpaca to give birth at night. Shortly following birth, the mother will hum to her baby. Twins are very rare. They use their lips to pull grass into their mouths. Alpacas chew the grass, but have only lower teeth, no upper teeth. So alpacas would really have a hard time biting you. For thousands of years, alpacas have lived where grass grows sparsely. They require low amounts of protein in their feed to produce a high quality and healthy fleece. Because 6-8 alpacas require only 1 acre of pasture, they are ideal for small acreage farms. Alpacas will not normally overeat. And unlike hoofed animals, their softly padded feet are extremely easy on pasture. They have two toes and a split upper lip which allows them to cut grass as they graze. They browse pastures, and utilize community dung piles, making pasture and manure management easy. How do alpacas respond to travel? Alpacas travel very well. Upon sensing motion, they lie down and enjoy the ride. Alpacas are easily handled, even by children. They are calm and easily trained. How can mountain animals like alpacas survive in Texas?! Ours have their own industrial strength air conditioner! Alpacas are hardy and adaptable to most climates, altitudes, and conditions. They are most content when they are outside as opposed to inside a barn most of the time. However, some form of protection from the elements should be provided such as a 3-sided building. Alpacas only require fencing adequate to keep predators out; they don't normally challenge fences. How do you take care of an alpaca? Alpacas are simple to care for. They require little beyond regular worming and vaccinations, in addition to occasional trimming of their nails and teeth. Trimming toenails is a two person job that usually done every two to three months. They should be shorn annually. On an average day it takes about 45 minutes to 1 hour to care for the animals, including feeding and keeping the barn clean. They prefer to be outside grazing on pasture grasses in the fields. You can give them a commercial feed daily year around to insure that they receive adequate vitamins and minerals.